Twitter was abuzz this morning following the Sarin gas strike in Syria that claimed the lives of at least 100 civilians and sent hundreds more to local hospitals. OUR HOSPITAL GETTING FULL FROM THE SARIN ATTACK TODAY. ANYONE THAT WANTS EVIDENCE, I WILL VIDEO CALL YOU. The terror campaign being carried out by Bashar Assad against civilians in rebel-held territories appears to be ratcheting up. Assad draws direct support from Putin, and may have even received the Sarin itself from Russian sources. 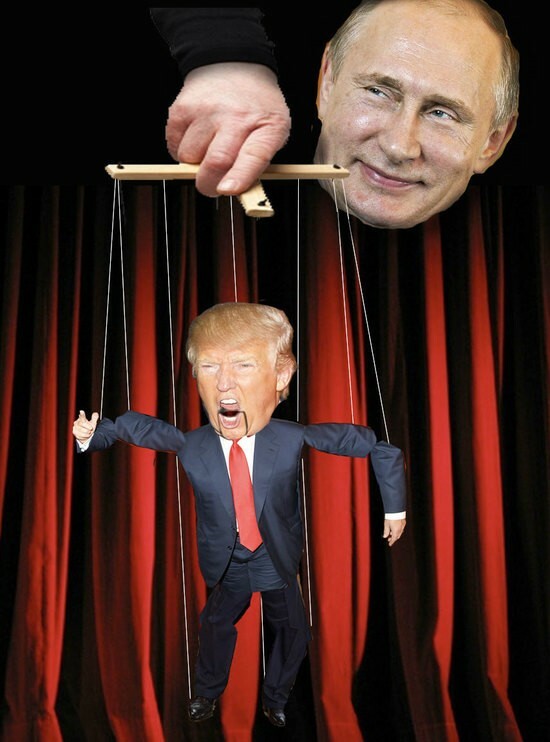 With Putin pulling Trump's strings, Trump held back from directly condemning Assad for the atrocity. It's quite true that President Obama laid down a red line and it's also very true that the United States failed to intervene in Syria. But recall that the power to declare war rests with Congress. And when President Obama called on Congress to fulfill their duties, he was met with the Sound of Silence. Obama asked Republican Congress for approval to attack Syria in 2013. "@mguarino64: @realDonaldTrump " How would you treat the Syria situation if president ?" I'd let them all fight with each other-focus on US! If the U.S. attacks Syria and hits the wrong targets, killing civilians, there will be worldwide hell to pay. Stay away and fix broken U.S.
"@BigSexyBDAvis: @realDonaldTrump mr trump would attack Syria or no?" No, lets make our country great again as they fight their war! Don't attack Syria - an attack that will bring nothing but trouble for the U.S. Focus on making our country strong and great again! We should stop talking, stay out of Syria and other countries that hate us, rebuild our own country and make it strong and great again-USA! I'll let his words speak for themselves.